On Christmas Day, we were having great fun testing out the Google Home smart stereo system at my sister and brother-in-law’s house in Pittston Township. When the system kept taking my niece, Samantha’s, request for Christmas music in darker directions, my brother-in-law, Steve, said, “OK, Google. Play Perry Como’s Christmas album,” and it did. Following that time-honored pop holiday classic, the system maintained an even keel of similar well-known Christmas songs. As we so joyfully celebrated the holiday as a family, we could never have imagined that half of Wham! – enigmatic solo artist George Michael had just died of heart failure. Upon hearing the news on CNN this morning, my first thought after “That’s sad” was “Wow, he was younger than me!” Only by a year, mind you, but it was somehow easier to accept the deaths of David Bowie and even Prince because they were older than I. Nonetheless, a flood of nostalgia overtook me as I recalled not only playing so many of his hits on the radio and in clubs, but the way in which the young man to whom I’d once referred as a “British Pop Tart” consistently rivaled America’s Madonna as MTV royalty. His cute, booty-shaking videos now seem pale in comparison to Madonna’s writhing and posturing, but both persistently broke down barriers. Speculation over his sexuality was both instantaneous and unrelenting. He and Andrew Ridgeley (the other half of Wham!) were so stinking cute, they had to be gay – right? Quite frankly, I didn’t care. I simply piled them on top of the giant plate of progressive pop songs that I was sharing with my own audiences. When George went solo in 1986, however, it seemed that he was subversively feeding his anti-gay critics via his video persona while vehemently refusing to sexually identify himself. In various interviews in the 1990s, including those after his arrest for propositioning an undercover officer in 1997, George related that, in the ’80s, he feared harming his career and embarrassing his mother. As the years went by, he told interviewers, he was simply offended by being told what he was, when he wasn’t even sure himself. I get that. While acknowledging his attractiveness, I wasn’t personally drawn to him. As a DJ, however, I could not deny the power of his music. His 45s and Lps were always near the front of my music crates. 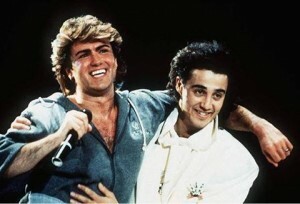 As an industry insider, I was fortunate to know who/what Wham! was prior to their first big US hit, “Wake Me Up Before You Go Go.” Don Tandler, a DJ on WILK am (Wilkes-Barre) and Q-102 (WTLQ – Pittston) was already introducing nighttime listeners to “Wham! Rap (Enjoy What You Do),” “Young Guns (Go For It)” and “Bad Boys,” the latter of which even charted in the W-B/Scr market thanks to Tandler’s ear for up-and-coming artists. “Bad Boys” was in fact the first of the duo’s hits to make Billboard’s Hot 100, peaking at #60 in September of 1983 after reaching #2 on the British pop charts. George Michael would eventually have 10 chart toppers in the US, three of them with Ridgeley, one with R&B superstar Aretha Franklin, and one with Sir Elton John. George also reached the top of the British chart 10 times. The charts that follow rank George’s success on the Billboard Hot 100, his biggest hits on the UK charts, notable entries on other US charts, my personal favorites, and comments by my DJ friends and other fans of George and Wham! Note that four of George’s US #1 solo hits did not even make the British Top 5, meaning that he was more popular in the US than in the UK during the late ’80s. The tide returned in his favor in the UK in the early ’90s. 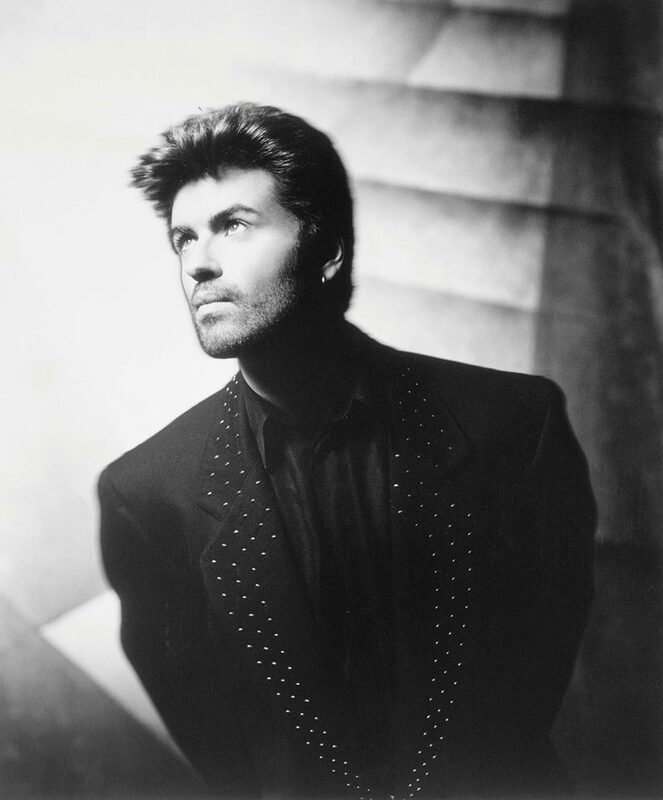 Radio play of George’s songs in the US pretty much dried up after his 1997 arrest, but he continued to chart regularly in the UK into this decade. 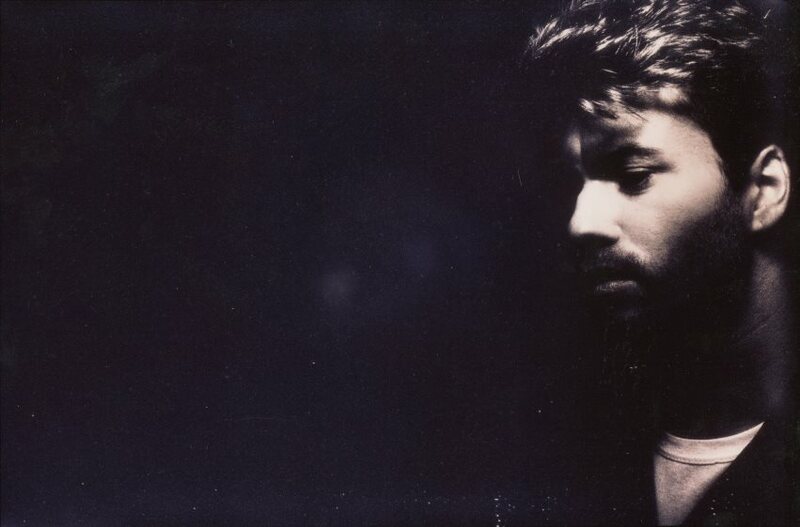 Not surprisingly, George Michael’s soulful ballads were huge hits on both Billboard’s Adult and R&B charts. Many of his songs also graced the Dance/Disco charts in their original form or as remixes. George Michael never made the American Rock, Alternative, nor Country charts. I’ll keep my lists simple. The first is my synopsis of George’s biggest hits based on crowd response and requests over the years, followed by my personal favorites.